Inside Autodesk Smoke’s ConnectFX there is a Read File Node. What is it? And how is it best used? 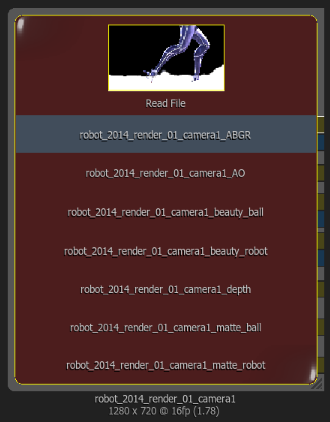 If you work with CG Renders or Multi Channel image files then the Read File Node is something you should check out. 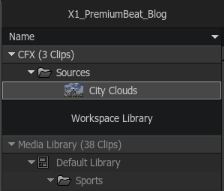 Normally when you bring clips into Smoke’s ConnectFX they are clips that you drag and drop from your Media Library. These are clips that you have previously imported into your project via the MediaHub. In the case of Multi Channel files, like PSD, Quicktime Movies with alphas or other image files with alpha channels, you can actually choose to import them in 2 ways. Multi Channel clips can be identified by the MULTI icon on the clip. The first import method would be to have Smoke split the individual channels up in to separate clips. This would be the Choose Alpha Clip option, so that you have your RGB video as one clip and your Alpha clip would be another clip. The second way would be to Create a Matte Container which will make one clip that contains the video and alpha clips together. 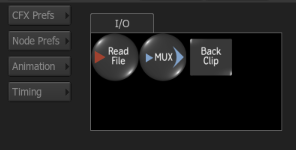 With the 2013 release and the drag and drop method of bringing your clips into a ConnectFX composite, I find that it easier and cleaner to always use the Create Matte Container option. This allows you to keep the clip contained and you still have easy access to the alpha channel for your compositing needs. 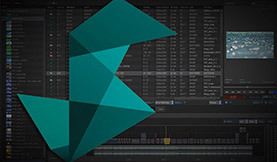 In 2012 before ConnectFX it made more sense to split your clips up, as the module workflow required you to load separate video and matte clips for processing. This created a lot of extra clips in your library and in the thumbnail view. Now how does this all relate to the Read File Node in ConnectFX? 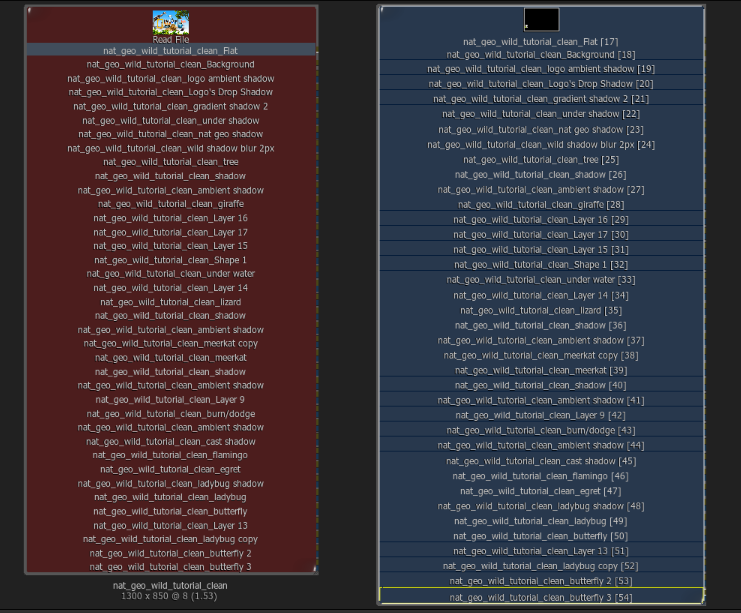 Well, the Read File Node sort of bypasses all of these rules and creates a few new ones of it’s own. It’s nice that as structured as Smoke’s media management is, that there is an internal way to workaround it when needed. So when would you want or need to use the Read File Node? If you work with rendered CG elements that are being rendered in multichannel image files, specifically OpenEXR files that can contain many layers like Ambient Occlusion, Depth Pass, Beauty , Specular and Diffuse passes, then the Read File Node has some advantages over standard importing. When working with CG renders, often changes might need to be made and new files rendered out. With video clips replacing a shot isn’t a problem, but with multichannel files changing one layer in the file might mean having to replace or relink 10 clips in your ConnectFX schematic. If this is your workflow, then the Read File Node is your friend. When you drag the Read File Node into your Schematic it will open up a MediaHub file browser and file among your network and drives. When you locate your MultiChannel OpenEXR file, select it and click LOAD. You are returned back to ConnectFX and your clip looks like every other clip. Almost. First you will notice that the name is a red-pink color. This is an indication that this clip is a live read from the original file location and is not managed by Smoke’s media database. But where are all of the multichannels and how do you access them? If you press [ALT+C] while the clip is selected, then the clip will expand to show you all of the embedded channels. This is the same method and hotkey used to expand the multiple output channels of the Action Node when they are created. You can expand the size of the clip to see the file names a bit more easily by dragging the lower right corner. The red color of the clip acts as a noticeable identifier as to the different properties of this clip. When you double click the clip its menu will open up in the lower UI. The Basic Menu gives you the ability to adjust import settings, and some Media Handling options. You also have some information tabs for clip properties and metadata. There isn’t a lot you can adjust here because this file is being read as a live link. It’s metadata isn’t being processed by Smoke like a traditional MediaHub linked import. The Extended Menu give you the ability to cycle through the layers or channels of the file. The ICON column allows you to toggle wheter or not a specific layer if active and displayed. The Proxy column allows you to select what layer is being shown in the clip proxy and the Output column allows you to deactivate just the output of that layer or channel. You will also notice that a layer can contain an embedded alpha for that channel and it has 2 outputs. At this point you can link up and build your composite as needed using any and all of the ConnectFX nodes you require. The Read File Node keeps this complex multichannel clip neat and organized for you. If at any point there would be a change needed to the CG elements, a new OpenEXR could be rendered with the same name as the existing file and the Read File Node would automatically update as it is always a live look a the file. 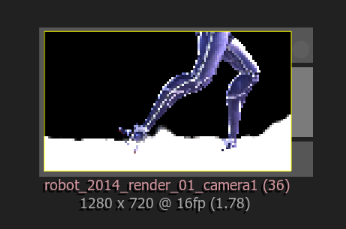 Obviously a re-render of the final CFX clip would be needed for the final composite to commit the change. So the Read File Node is great. Why don’t we just always use it and bypass the MediaHub and Media Library? Well, mainly because you would be bypassing the MediaHub and Media Library and therefore bypassing all of the internal media management inside Smoke. As you can see when you bring in a clip via the Read File Node, that clip doesn’t even appear in the Sources Folder for your CFX. Your clip isn’t being managed, and therefore isn’t a true source. This makes it hard to cache, conform, relink, archive, and many other things that can be done when a clips metadata is tracked through the normal import process. 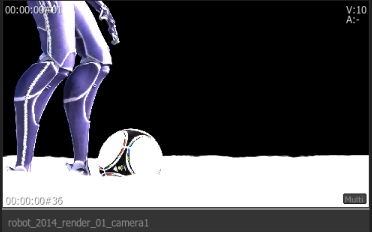 Now you can do a bit of a cheat and create a CFX Clip and then move that from the Sources Folder to the Media Library and then use this CFX Clip on the timeline in your sequence. So I would use the Read File Node in only some special circumstances – mainly being for multichannel CG renders that may get changed as you are working. That was you don’t have to manually relink multiple clips. It can also help as an organizational tool as long as you understand the metadata limitations. Multichannel PSD files can also be use in the Read File Node and can be quite helpful with organization and being able to hide certain layers. 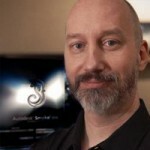 But the same results can be accomplished by importing a PSD into Action. 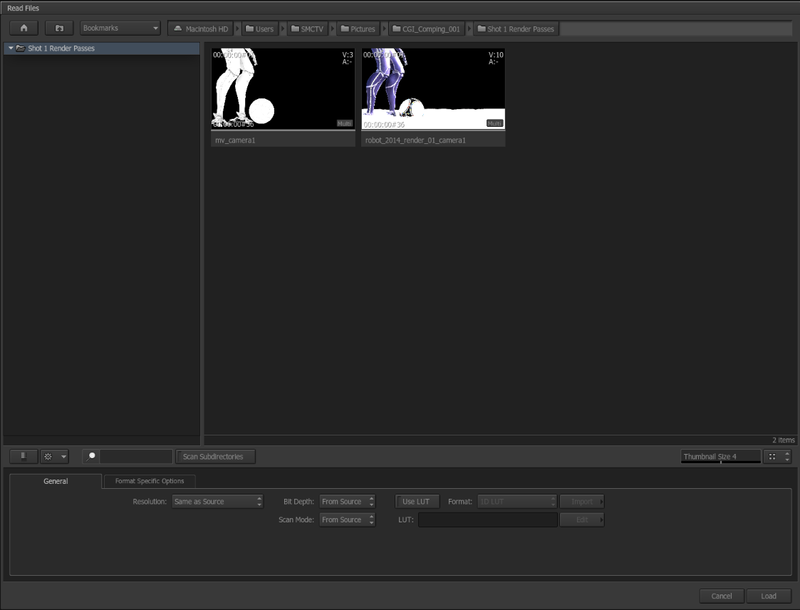 And once the PSD is loaded into Action, all of the layers become sources in the Media Library. 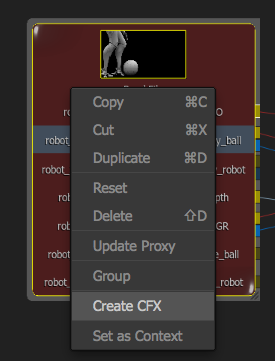 If you Import your PSD or OpenEXR into the Media Library and then grab the entire Folder or Library and drag it into CFX, you can create a Group Node [Right Click+Group] which will give you the same organizational features of the Read File Node. But you do have to take a second to group the clips and set it up. Also if you made a change in the file you would have a little more work getting the clips in the group to update, as it’s not as Live as the Read File Node. Use Smoke’s Read File Node when it makes sense. It’s a great feature and when used at the right time can save you lots of extra work later on.